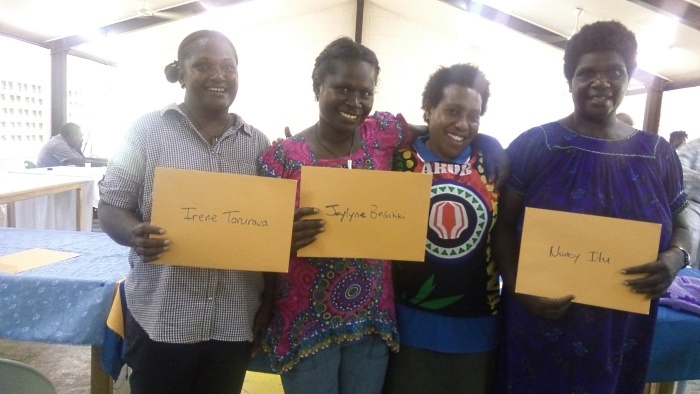 The trip to Arawa Bougainville was not an easy trip for the ministry team at CRMF. They faced many challenges due to cancelled and delayed flights. In the mix-up their ministry equipment even arrived on different days, forcing the ministry team to start a few days late on the Basic Computer Training (BCT). – Caine Ruruk, Learning Technologies Facilitator and Trainer. During the two-week training, our ministry team gave day and night sessions to make up the delayed time. 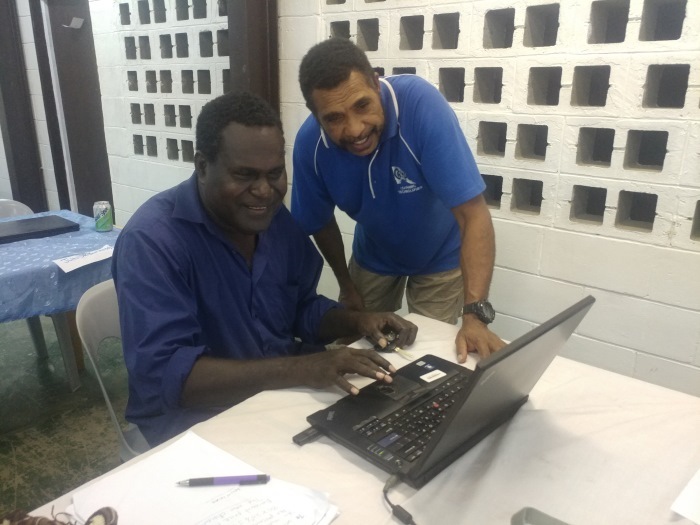 Within that time, our team learned that most of the pastors taking BCT didn’t know much “Tok Pisin”, and for some this was even their first time to use a computer. Our ministry team started off by teaching the basics of computer, from what a computer is to how to turn on a computer and how to use a computer keyboard. 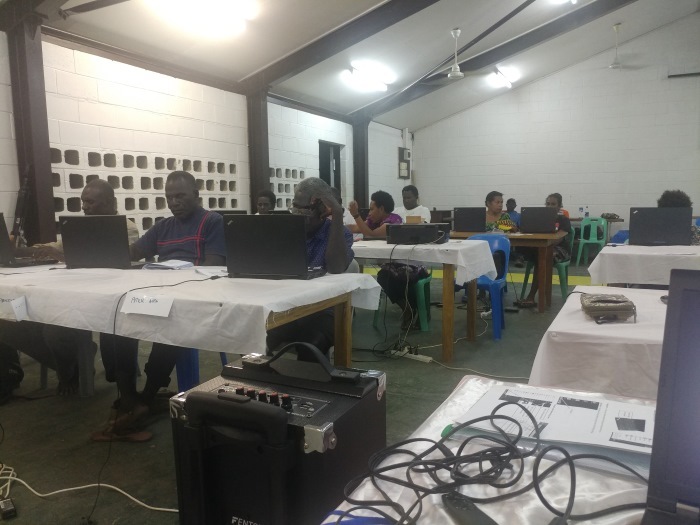 The second, third and fourth day of the first week of BCT, our ministry team taught the pastors the basics skills of using Excel, typing tutorials, Power Point presentation, and how to create a timetable using Microsoft Word . 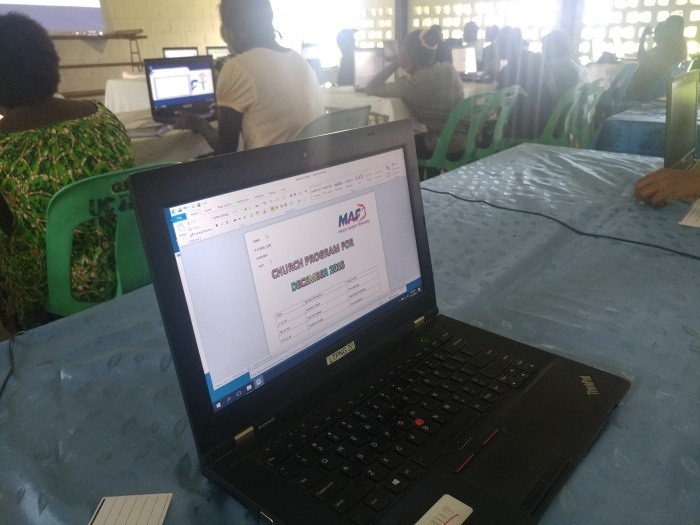 Within their second week of training, BCT trainers Caine Ruruk and Lina Tomagau taught pastors to use a projector and to create a PowerPoint presentation using what they had learnt from the previous week. Despite the lack of education and the struggle that many of the pastors faced at the beginning of the training, they successfully completed BCT and received their certificates. 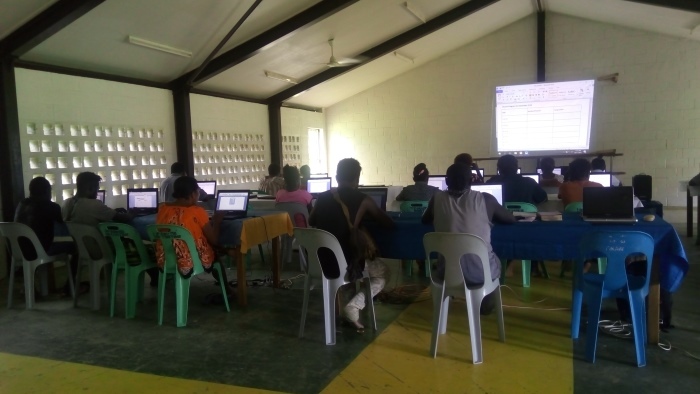 The pastors stated that the course had helped them in understanding the basics of a computer, allowing them to now feel confident in using Microsoft Word, PowerPoint and, Excel especially when it comes to creating reports and presentations for meetings and gatherings. – Lina Tomagau, IT Technician and Trainer. After the BCT training, the founder of God’s Kingdom Network (GKN), Pastor Albert Magoi, sees the need for basic computer skills and now wants to enter into a training agreement. His vision is to see all the pastors and ministry leaders of the churches who have a connection with GKN to be capable in using technology for ministry. This would provide pastors with a way to use visual aids through PowerPoint during their sermons, but also keeps the administration and accounting parts of ministry more organized with Microsoft Word and Excel. “Unlike the many other BCT trips I’ve taken, this was the most challenging one, but despite the challenges, in the end we saw God’s hand at work, overcoming obstacles and making ways.” – Lina Tomagau, IT Technician and Trainer. We are looking forward to working with GKN in the future to help equip their pastors and leaders.